Exploring the world’s blue zones (or, "longevity hot spots") provides clues as to why certain people live longer than others. Currently, there are five locations that hold world records. 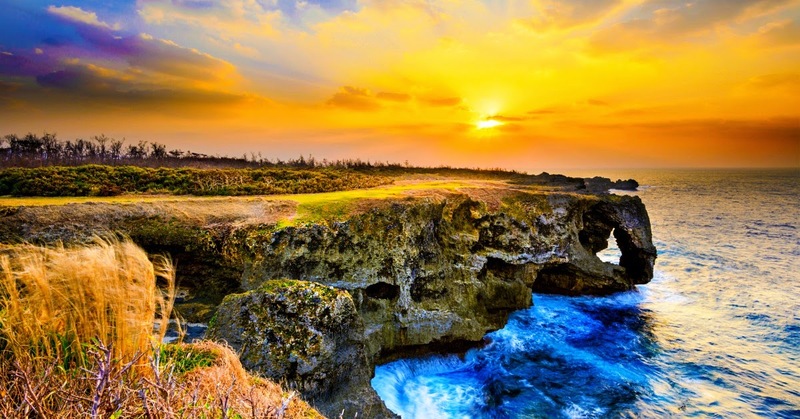 Okinawa, a small island off the coast of mainland Japan, is a model of good health. So what is it about Okinawa that promotes longevity? Below we’ll explore potential causes. However, scientists don’t think it’s that simple. The longest study on Okinawans estimates that at least two-thirds of their longevity is due to lifestyle factors. The local diet is mostly plant-based and consists of seaweed, fish (although in small quantities), fermented soy, purple sweet potatoes, and goya (bitter melon). The older inhabitants eat about 7 servings of vegetables and fruits a day. Pork is eaten on special occasions and dairy is rarely consumed. Turmeric is also a part of the diet. It’s mostly consumed in the form of tea. Many studies attest to the health benefits of this beneficial herb. The Okinawans have conserved old traditions and live a slow-paced lifestyle. They’ve kept traditional jobs, such as farming and fishing. They meditate and practice martial arts, tai chi, and dance. Elderly people tend to work and remain active into their 80’s and 90’s. The Okinawans drink moderately, rarely smoke, exercise, and have strong social and spiritual ties. Gardening, bicycling, and walking are common island activities. Being the longest living people in the world, the Okinawans can certainly teach us a thing or two about longevity. Why not adopt some of their lifestyle habits? Who knows, perhaps you’ll live a little longer if you do! Available at: http://usatoday30.usatoday.com/news/health/2002-01-03-usat-okinawa.htm. Accessed February 20, 2015. Available at: http://okicent.org/news.html. Accessed February 20, 2015. Available at: http://www.okicent.org/study.html. Accessed February 20, 2015. Curr Opin Clin Nutr Metab Care. 2014 Jan;17(1):51-8. Available at: http://news.bbc.co.uk/2/hi/uk_news/magazine/7250675.stm. Accessed March 16, 2015.